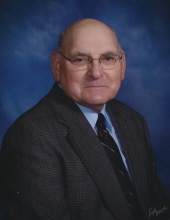 Gary Kuhfus, age 80, of Radcliffe, Iowa died on Wednesday, Dec 12, 2018 at Iowa Methodist Medical Center in Des Moines, Iowa. Gary Dennis Kuhfus was born on December 8, 1938 in the rural family farm home north of Radcliffe, IA. He was one of four children born to Maynard and Cora (Larson) Kuhfus. The family attended the Evergreen E.U.B Church and later merged into the St. John’s United Methodist Church in Radcliffe. Gary received his education by attending rural grade schools Sherman #1 and #2. He graduated from Radcliffe High School with the Class of 1956. He went on to attend Ellsworth Community College. He was janitor at the Radcliffe Community School. He was Radcliffe City Clerk and went on to become Mayor of Radcliffe. He was a janitor for the Iowa Department of Transportation. In his retirement, he became custodian at St. John’s United Methodist Church and also became the financial secretary. He spent countless hours volunteering at the Radcliffe Friendly Fairways. He was a golf enthusiast and bowled in numerous leagues and tournaments making the National Bowlers Hall of Fame in 1993. Gary passed away on Wednesday, December 12, 2018 at the Iowa Methodist Medical Center in Des Moines, IA. Those remaining to cherish his memory include his sister Dorothy (John) Barnhart of Ankeny, IA; one sister-in-law Mary Kuhfus of Iowa Falls, IA; four nieces and one nephew; along with other relatives and friends. Gary was preceded in death by his parents and two brothers Charles and Harlan. To send flowers or a remembrance gift to the family of Gary Dennis Kuhfus, please visit our Tribute Store. "Email Address" would like to share the life celebration of Gary Dennis Kuhfus. Click on the "link" to go to share a favorite memory or leave a condolence message for the family.